HEARING WHAT SOUNDED like a hammer banging against metal, Molly O’Malley tossed the covers aside and sat bolt upright. Her sister had beaten her to the shower. Again. Now she’d be late getting downstairs—the last thing she wanted today of all days. After endless planning, preparation and backbreaking labor, Sweetheart Ranch was finally opening for business. Molly pushed herself out of bed, excitement and nervousness replacing the fog of sleep. Grabbing her flannel robe hanging from the bedpost, she padded to the closet, every third floorboard creaking in angry protest. A single tug on the antique glass knob and the closet door glided open. Thank goodness. It just as often stuck and refused to budge. What is it about your book that makes it stand out in this competitive genre? I don’t think there are too many romance books with a cowboy-themed wedding ranch. At least, I haven’t seen any 😊 Neither have I come across a book with a cowboy wedding officiant for the hero. I hope that makes A COWBOY’S CHRISTMAL PROPOSAL a little unique and worth a look. "Take a type-A woman intent on making the new family wedding planning business a success and throw in an unexpected elopement of one member of said family wedding planning business and a substitute officiator with three rambunctious children, and the recipe for entertainment is delicious! Oh, and did I mention this is all during the busy holiday season?" "I really can't seem to get enough of the cowboy and rancher romance stories lately. This story gets bonus points for taking place during the Christmas season, because I also can't get enough of the Christmas romances at this time of year. This book fit both perfectly." “What’s wrong?” Bridget glanced up from sprinkling flour onto a rolling mat. “Grandma’s gone.” The words fell from Molly’s mouth in a shocked whisper. She was halfway to the girl when the arched doorway separating the parlor from the foyer and the chapel was filled by a pair of broad shoulders, a tall lanky form and a dark brown Stetson. Molly came to a halt. She’d seen plenty of attractive cowboys since moving to Mustang Valley, but this one in his pressed jeans and Western-cut suede coat rated right up there. The fact that he balanced a third child in his left arm, this one a toddler, diminished none of his good looks. 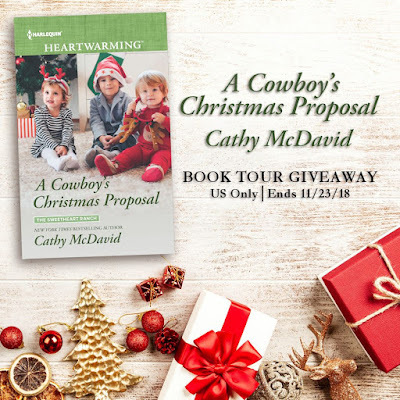 "A Cowboy’s Christmas Proposal is a really sweet romance with some fun characters and a cute story line. I love the idea of Sweetheart Ranch. I’m not sure I’d run a wedding venue…too much stress…but those cabins are just perfect. . . . Clean romance lovers will enjoy getting to know these characters and this charming town." Owen didn’t blame Molly for doubting him. He wasn’t really a minister. And his three intent-on-misbehaving offspring were hardly aiding his image. "This is a novel centered round family and how sometimes, in order to find the tomorrow [you're] wanting most in your life - you have to be willing to take risks. Without risking your heart, you lose the chance to find someone who is your rightful match and without being willing to go outside your comfort zones - sometimes you miss opportunities for self-growth." "This was a really cute story. . . . This book is one you don't want to pass up. It has a make you feel good story with a wonderful cast of characters. This story will hit you right in the heart. Plus you can't go wrong with the holiday season working it's magic." "An adorably sweet family-oriented romance! She’s too uptight, he’s too lackadaisical … but together, they shine! In a story of trying to pick up the pieces of a life that hasn’t quite worked out the way you planned, two people meet and fall in love in less than ideal circumstances. . . . The characters were well developed, the plot was steady and filled with cuteness and the story was overall a joy to read!" "...this is a sweet story, one that you will sure want to read for your own enjoyment. It takes place during the Christmas holidays so it’s a fun and exciting story to read at this time of the year. I encourage you to pick up a copy for your own entertainment!" 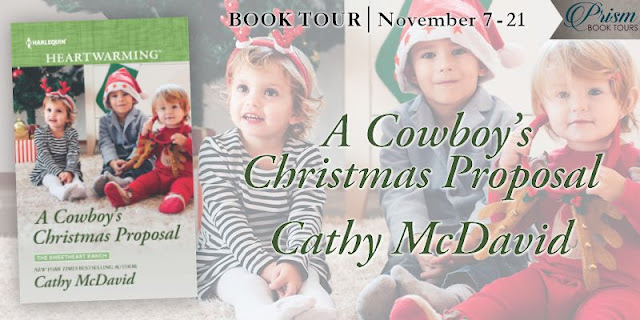 "A Cowboy's Christmas Proposal by Cathy McDavid is an absolute lovely read. . . . You do not want to miss this great Christmas read." 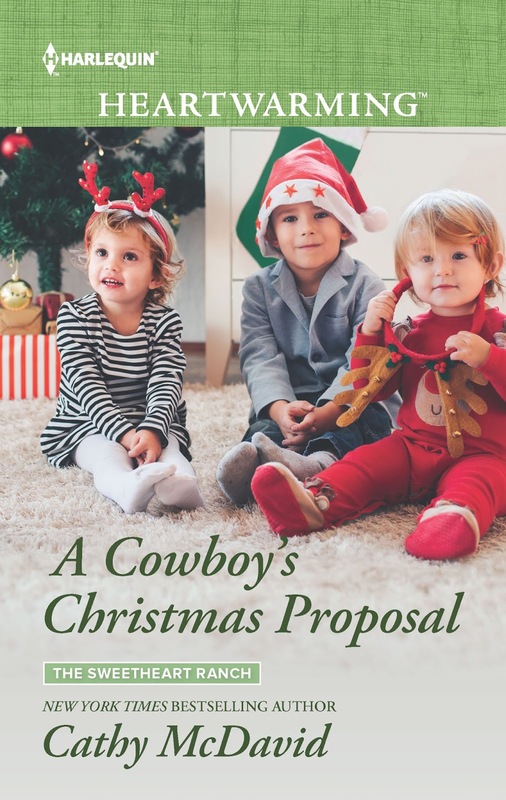 "A Cowboy’s Christmas Proposal was a fun story. I really enjoyed the setting of the Sweetheart Ranch, a specialty wedding destination that had just opened as the book began. . . . The interactions between all of the characters in this story, including the children, felt very authentic." The next second, Owen and his three kids strolled into the parlor. Molly went still, wishing she could disappear. How much of her and Nora’s conversation had he heard? The last part of it, certainly, judging by the amused expression he wore. "A Cowboy’s Christmas Proposal is cute, endearing, witty, and sweet. Not to mention the sparks that sizzle between Molly and Owen. 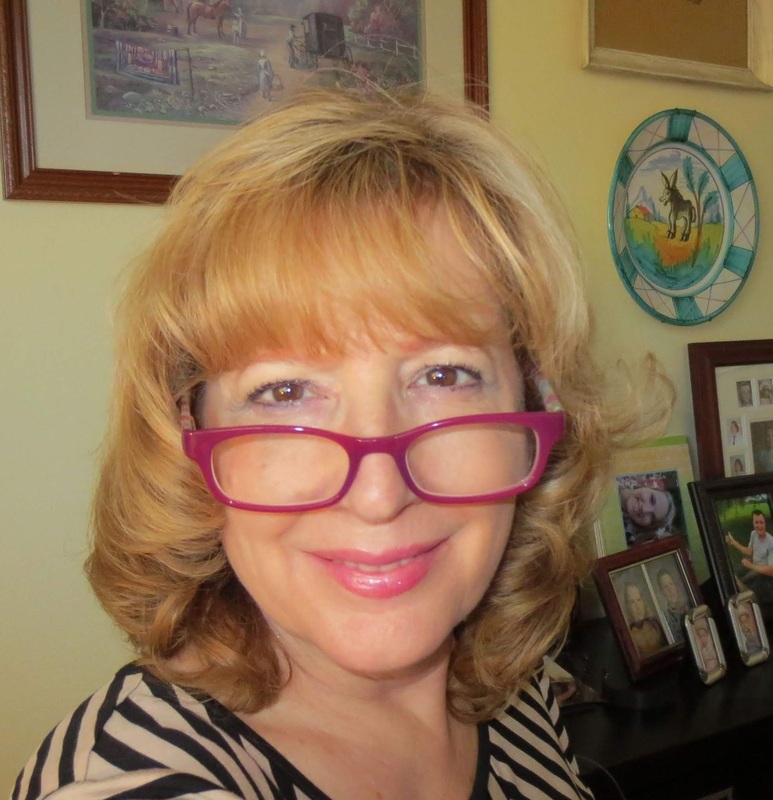 The chaos the author has written into this novel is palpable – throw in the holidays, a new business, the stress of weddings (sometimes more than one in a single day), three restless (and adorable) kids, and the absence of two intended key players…. not to mention the losing battle of trying desperately not to fall in love. (because who needs more chaos?) And yet, the tender moments gradually overshadow the chaos – much like in real life – and leave readers breathing a blissful sigh of relief. Looking forward to more visits to the Sweetheart Ranch!"